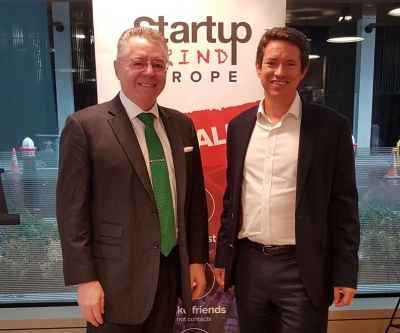 David Stringer-Lamarre, MD of FortisCL was very pleased to have attended this Startup Grind event in the City of London, within WeWorks, Moorgate. Marian Gadzik, Director of Startup Grind interviewed Chris Hulatt, EY’s Entrepreneur Of The Year and Founder of Octopus Group. In a wide ranging discussions Chris spoke about the initial decision to give up his job, with his colleagues, and to start a business. He then commented about the trials and tribulations of the early months and years as the business began to get established. The latter part of the discussion touched on the growth of Octopus, Brexit, the economic outlook and entrepreneurship.